It is with great sadness that we announce the passing of our loving Father and Grandfather on January 25th, 2019 after a long battle with Alzheimer’s and Dementia. He is survived by his two daughters, Goret Fontoura (Larry Gilchuk) and Cristina Fontoura; two grandchildren, Madeleine Ringwood and Zachary Ringwood; and many nieces, nephews and extended family. He was predeceased by his loving wife Ermezinda Fontoura and his six brothers and sisters. 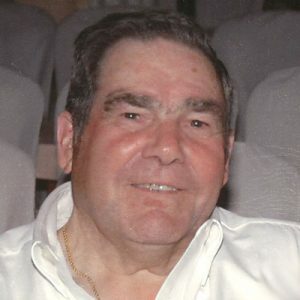 Dad was born on January 6, 1928 in Sonim, Portugal, the youngest of seven children, and immigrated to Canada in the late 1950s. He married Mom in 1961, and with a few dollars in their pockets and the clothes on their backs, they moved to Winnipeg, Manitoba. They worked very hard to make a great life for their two children. They retired in 1984 and travelled between their native country of Portugal and their beloved home country, Canada. They travelled to the Greek Islands, Morocco, Egypt, Spain, England and Brazil. After Mom passed away in 2009, Dad was diagnosed with Dementia and Alzheimer’s. We’d like to thank the staff in Mountainview Village and Heron Grove for their care of our father for the last eight years. A special thank you to dad’s doctor, Dr. Lindsey Hayward for her special attention to him, and the many visits to the care facility. A Mass of Christian Burial will be celebrated on Monday, February 4th, 2019 at 11:00 am at Corpus Christi Catholic Church, 750 Rutland Road, Kelowna. Interment to follow at St. Theresa’s Cemetery. The service for FONTOURA, Albino is scheduled for Mass of Christian Burial on Monday, February 4, 2019 at 11:00 am. Below you will find the map for the service location and the contact information should you have any questions.